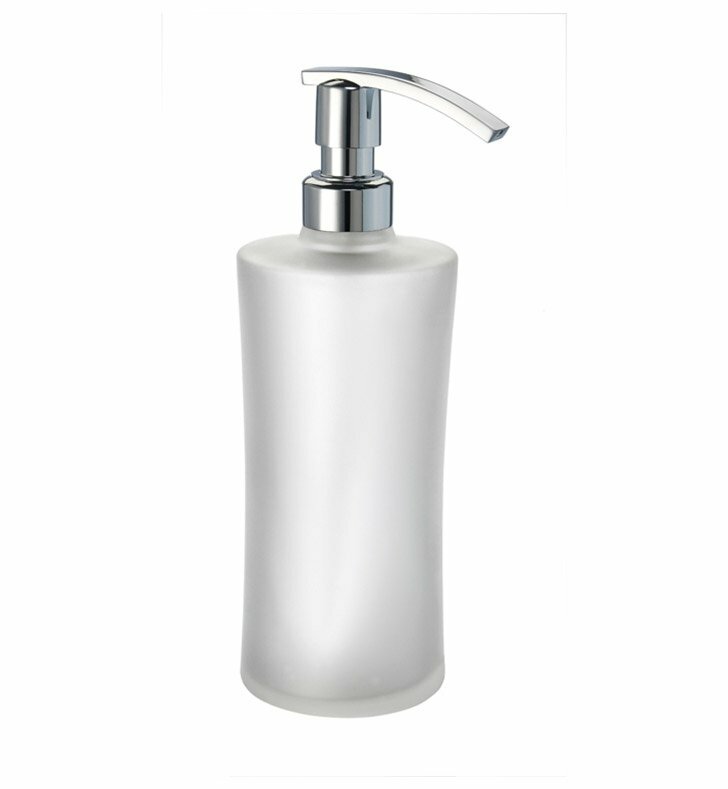 Windisch's Complements lotion/soap dispenser is a pump soap dispenser that works well in a contemporary style bath. Manufactured in and imported from Spain by Windisch, this free-standing lotion dispenser is a shiny solution for your luxury bathroom. 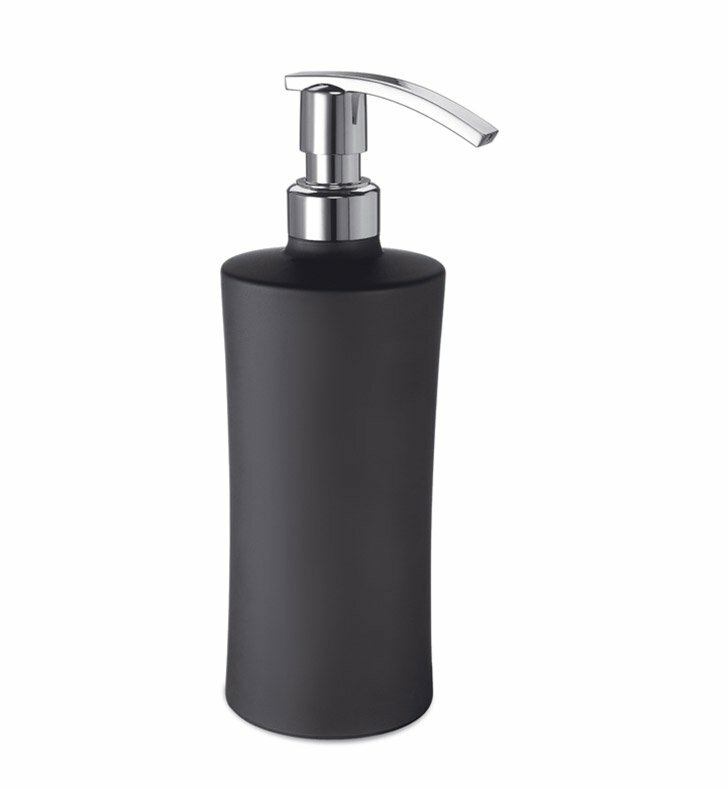 This luxury lotion dispenser is made of extremely high quality frosted glass and coated in black or white.